It's increasingly risky to be a musician on the road. When British saxophonist John Surman was traveling from his home in Oslo, Norway, to New York City in September, 2007 for a recording session, he almost lost his baritone saxophone to the airlines. 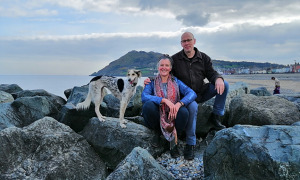 "It is a nightmare traveling now," says Surman, "and hardly a tour goes by without something going missing, and of course there's the damage problem. Nowadays you get one handbag, which of course is my soprano, so I always have that; and wherever possible, I'll perhaps take the baritone mouthpiece in case worse comes to worst. But that being a metal mouthpiece, it's always a trouble at security. The security guards think I've got a snub nose revolver or something. I don't know what they think I'm gonna do with a metal mouthpiece [laughs]. "With a heavy instrument like the baritone, unless you have the most enormous case it's always risky. 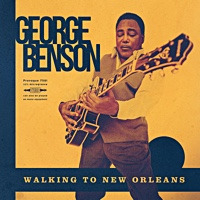 I've got, as far as I know, one of the best flight cases money can buy, but my baritone got completely wrecked on the way over to the session." Fortunately, for Surman, Tim Barcone was available. "It was that chap in Kingston, New York, who turned out to be a baritone player himself," Surman explains, "and had maintained Howard Johnson's horn in the past. 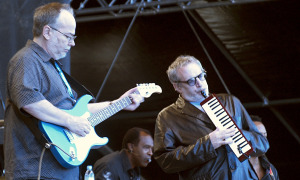 He got up early in the morning, worked for four or five hours, and put together what was an unplayable instrument for me, so he really deserved his little mention there"there being the liner notes to Brewster's Rooster (ECM, 2009), Surman's latest in a three decade-plus string of releases for the German label, and his first "jazz" recording, at least in the more conventional sense of the word, in many years. 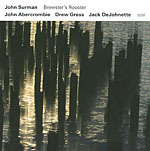 Brewster's Rooster features friends old and newguitarist John Abercrombie and drummer Jack DeJohnette, with whom Surman has intersected many times over the past four decades, and Drew Gress, here not only a first encounter for Surman, but the bassist's first recording for ECM. 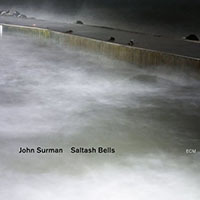 It's as strong a statement as any of Surman's recent albums, including Rain On The Window (ECM, 2008), his duet with church organist Howard Moody that's still waiting for North American release, and The Spaces in Between (ECM, 2007), a second collaboration, after Coruscating (ECM, 2000), with the Trans4mation string quartet and bassist Chris Laurence, a longtime musical partner. 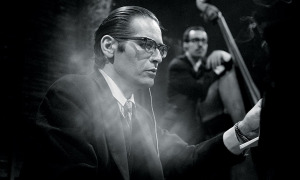 Surman's distinctive voice on both baritone and soprano saxophonea pure tone that eschews the more nasally soprano tone normally adopted by post-John Coltrane saxophonists and reaches high into the baritone's upper range for a surprisingly fragile, emotive soundcan be heard all over Brewster's Rooster, but what's missing is his equally unmistakable bass clarinet. With modern tales of travel woes driving artists to make decisions that are far from artistic, there's no bass clarinet on Brewster's Rooster simply because it would have been far too complicated to bring the instrument with him on the flight. 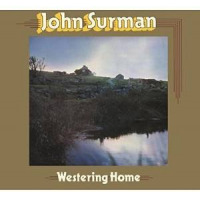 "It's difficult," says Surman. "I don't think any of us as musicians would mind paying a little premium for some proper treatment. 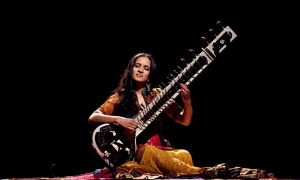 But the fact is that, on a trip I just did, the Norwegian airlines said 'Oh, it's a musical instrument, it's a little extra for that because we have to take more care of it.' And when I arrived at Gatwick [London, UK], here comes my bass clarinet down the same slide, crashing down, with everyone else's luggage. "So it's nonsense and it becomes a bit of a drag. I understand that Dave Liebman just takes a soprano now. I don't want to do that, and people are sometimes kind of disappointed I don't have the bass clarinet as well as baritone and soprano. But bringing it, because there are other gigs with the group, it becomes too scary. It's become like that, and I'm not alone in the problem. I don't even have the worst instrument; it's the bass players that now have to carry around little mini instruments. However much they say, 'Oh, well, it sounds good,' you know deep in the bottom of their heart they're saying 'My god, I wish I had my real bass.'" 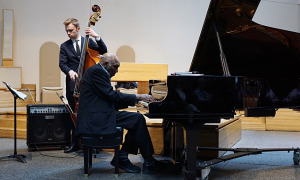 "I heard him playing with Uri Caine at the London Jazz Festival, and I was playing oppositeI was playing with the BBC concert orchestra doing some of my music. Drew was over there doing Uri's music, and so we briefly met and I thought, 'Yeah, this is the kind of guy I could get on with,' just talking to him briefly. I listened to his playing and he sounded great. So I said [to Eicher], 'Well, how about Drew Gress?' and that was it. After a while of trying to find a date when these three guys could be in the same place at the same time, we got it together. I have to say, at the outset, that I never really expected this to be a kind of working group, but I thought they were just a nice combination of people I'd like to play with, and make an album withreally, more than anything. The fact that we got some gigs with it is an absolute bonus." 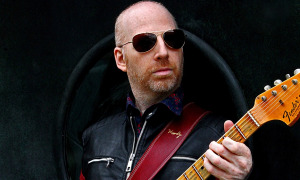 With a series of dates at Washington, DC's Blues Alley and Birdland in New York, Surman and his quartet will have the opportunity to expand on the instantaneous chemistry of Brewster's Rooster in a live setting. 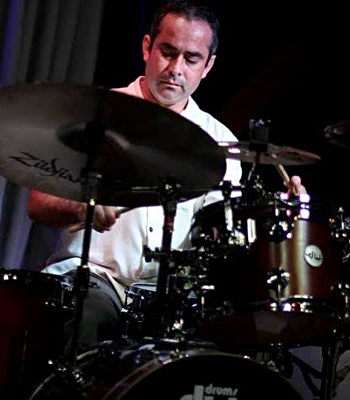 With nothing more than a single rehearsal"I was more comfortable to just say 'Hi' to everybody before we walked into the studio," Surman saysthe quartet entered Avatar Studio, in New York, to lay down tracks that, in the fullest spirit of spontaneous creation, were little more than melody lines and changes, in order to allow the most freedom while still possessing a basic roadmap. 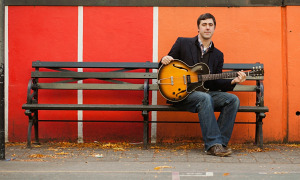 Armed with one standard, a number of new tunes written with this group in mind, and two that have been a part of Surman's live repertoire but are recorded by the reed man here for the first timethe elegant oddly named waltz, "No Finesse," and buoyant closer, "Going for a Burton," the latter recorded by Chris Laurence on his long overdue debut as a leader, Nice View (Basho, 2007)Brewster's Rooster mixes fiery near-free improvisation with more structured concerns. "I knew what we were going to do so I dug around," says Surman. "I thought, 'Well, it'd be nice to play those pieces with these guys,' and then I thought, 'What else might work?' So I sat down and wrote two or three new lines that I thought fit the work, and a couple of others that aren't on there that we didn't get around to. There were a couple of possibilities that we didn't do. I though about doing a beautiful ballad of Wayne Shorter's called "Virgo," since I am a Virgo. We ran down a couple of other things, but when we got in the studio the music took care of itself." Take care of itself, it did. Brewster's Rooster may feel largely like a mainstream album, but the depth of the interplay amongst the four players, and the spontaneous flights of fancy on tracks like "Haywain" prove that it's possible to be both freely intended and thematically focused at the same time. "There just happened to be the line "Haywain" lying in front of us all on the music stand," Surman explains, "and that was more or less it. I just hinted at it; if you don't know the whole melody, I just played a little bit of the beginning and the guys went, 'Oh, yeah, okay,' and that was the end. I don't think we discussed it at all. So that was completely free improv. Jack said, 'Come on, let's just play,' so we did." What little was on the chart left plenty of room for everyone in the group to do what they do best. Other than the basic melody and, in most cases, a set of changes, nothing else was specified, including chord voicings. 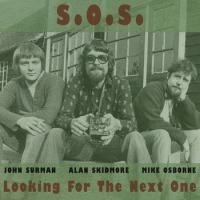 "It's very open; I think there were one or two places where I suggested [voicing] possibilities and, for the life of me now, I can't remember whether he [John Abercrombie] followed them or not," Surman recounts. "This method of working with musicians who can improvise and are of that quality, this is the way I like to work. "I don't really dot Is and cross Ts with people like that because their inspiration is, nine times out of ten, more interesting than stuff that I might put together for them. In this kind of context, this is the joy of this kind of open style of making music. 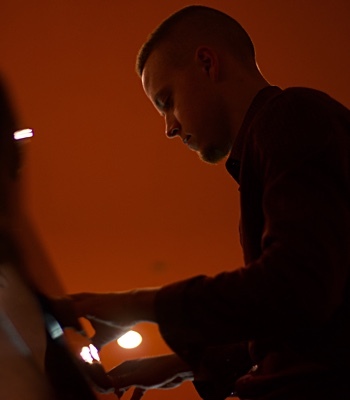 I have other projects that I do, like the string quartet stuff, where there's a great deal of dotted Is and crossed Tsthat's that musicbut to play with these guys, I'm interested in them feeling comfortable, so they can slip into the pieces like a comfortable set of clothes. I want the music to be comfortable for them to play so that they can as much make it their own as mine, really; that it gives them a springboard to be themselves and we can play together in that way. That's the idea of it all, so it's as open as possible without being so vague as to be a waste of time." While Manfred Eicher is listed as producer on the session, and did provide his usual input in sequencing the finished tracks into the order heard on Brewster's Rooster, this was a relatively rare occasion when he wasn't on hand in the studio, to contribute ideas during the session. 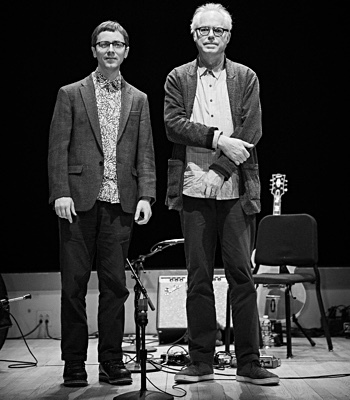 "At the original recording session, Manfred was ill," says Surman, "and he couldn't come. So I engineered the results and he more or less said, 'Well, you'll be okay, won't you, you'll be happy doing it with Jack.' And I said, 'Yeah, no problem at all.' So that was it. We did it [mixed the record], and there were a couple of e-mails exchanged, where Manfred made one or two suggestions about what he thought would be a nice order of the piecesand which was more or less what I thoughtbut he did contribute, as usual, one or two constructive ideas, and that was it." In the pursuit of the freshest possible take, Surman used largely first takes or, at least, the first take that was usable, but for reasons not related to the actual performance. 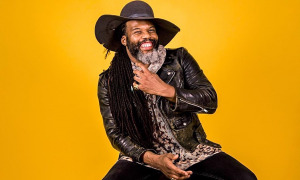 "Usually when we get in the studio, the first one [tune]I forget whichwe usually do two or three times, because it's usually about getting comfortable hearing each other and everything" Surman explains. "I don't think there was much to choose musically between takes, usually you hit a music stand, or there's a pot on the amp, or the amp goes. There might've been a few takes but it was never a case of having to do things or edit stuff together. It's more or less as you hear it. 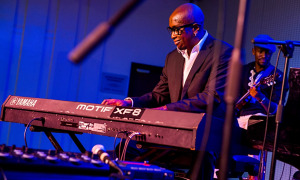 Usually you might run something down just to get it until it feels right and then do a take." 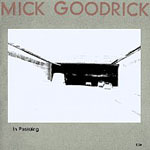 As original as it is, there's an aspect of Brewster's Rooster that recalls an earlier, overlooked ECM classic on which Surman also played: guitarist Mick Goodrick's In Pas(s)ing (1979). 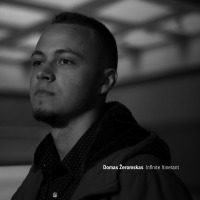 With a parallel line-up featuring DeJohnette and bassist Eddie Gomez, it's no surprise that similarities exist, despite the 30-year gap between the two recordings. 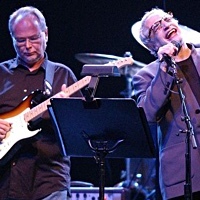 "Well you've got fifty percent of the same musicians, which would help," Surman says, chuckling. Still, despite Goodrick being credited with the writing, the melodic content sounds very much like something Surman would write. As it turns out, it's a lesser-known truth about the recording. 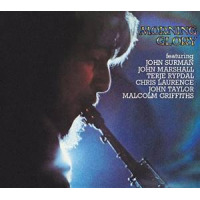 "Someone else I spoke to recently also pointed out that they hear [John McLaughlin's] Extrapolation (Polydor, 1969) on it," Surman says, "and I can identify with both of those feelings, though I can't say that I thought too much about it in any way, because there are different people involved, and I was really thinking about John and Drew and Jack [for Brewster's Rooster]. So if it comes out that way, it's possibly because on Mick's record, apart from one piece, all of tunes were just chord sequences. So the melodic part of it, the stuff I play, is my improv. 'Summer Band Camp' had a written line, but all the rest of it was just chord sequences. 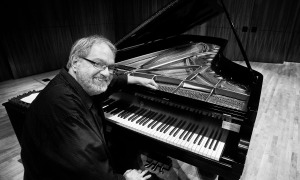 So there you have it, you would've gotten my melodic input there straightway; I'm composing the linesthe heads, if you likeso maybe that's a part of it." As is often the case, live performances become more outgoing, with the group feeding off both itself and the audience in ways that don't happen in the studio. 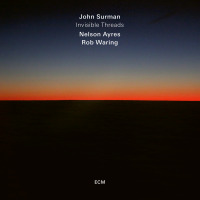 A live, 2002 BBC radio broadcast of Surman's longtime group with pianist John Taylor, Chris Laurence and drummer John Marshall shows just how different material from Stranger Than Fiction (ECM, 1994) can be, when the group takes a more energetic approach. "Stranger than Fiction was quite controlled, actually," says Surman. 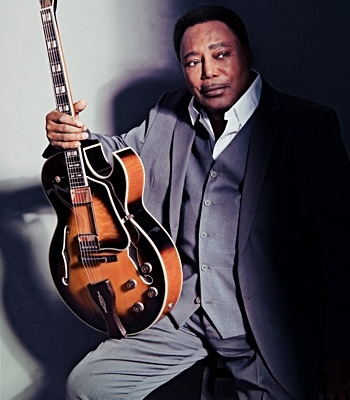 "There's a difference when you're playing live and you've got this continuous flow of music. When you're recording, you do a track, then stop, and then another track in a different feel, and so on. So it's about playing one set where things get stoked up more, or the time factor creeps in, or something. But there's no question that anybody who's got something to play will tell you, when you're going to a recording studio, as soon as the red light comes on, it's harder. [laughs]. "There's a consciousness about being recorded that may make one a little more careful. When you do it, some chaps are going to listen to it and say 'Oh gosh, is he playing out of tune?' whereas when you're live, you're out in the world, and it's in the air. Like Eric Dolphy said, 'It's out there, it's in the air and then it's gone'; there is that feeling that you're not going to have to explain it to everyone else afterwards. When you make an album, someone will say to you afterwards, 'Do you think...,' just as we're doing now." In the more perfect environment of a good studio, it's possible to hear the decay of every note, and everyone in the group can hear each other, even if (as is often the case) the drummer is separated out into a drum boothas is the case at Avatar, though it's still possible for everyone in the group to have eye contact. "The tendency is that you get to hear more detail, so perhaps you react in a more detailed kind of way; where maybe there is sometimes more nuance in the recording. I do enjoy the recording process anywayI can certainly say that it's different than the live experience. Whether it's more valuable or less valuable, to me it's just different, equally interesting and exciting. There are things that work in studios that are harder to bring off outside, and maybe vice versa. 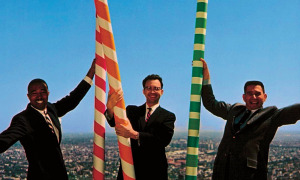 What will happen with this group [Abercrombie, Gress, DeJohnette] as we get going live, I have no idea, but I can imagine it'll head off in a number of different directions, and each night stands a chance of being quite different. If Jack and I play together, it's often quite different from night-to-night, so adding John and Drew to the mix is only going to make it head off to even more different places."